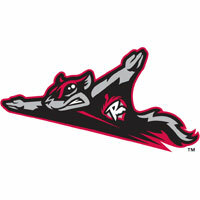 The Flying Squirrels (40-38) exploded for a season-high 15 runs on a season-high 18 hits coasting to a 15-6 win over the Harrisburg Senators (41-39) on Friday night at FNB Field. Richmond blasted 10 runs on 10 hits in the first two innings against Senators starter Sterling Sharp (0-1) forcing him out of the game with runners on and nobody out in the third inning. Richmond takes the opener of a five game series in Harrisburg and will continue their nine-game road trip against the Senators on Saturday night. The Flying Squirrels will return to The Diamond on Wednesday, July 4 for an Independence Day weekend celebration. Richmond put up four runs on the Harrisburg Senators in the top of the first inning on three consecutive RBI base hits from Dylan Davis, Dillon Dobson and Jonah Arenado. Davis and Dobson drove in one each and Arenado drove in two runs in the first inning on a double to left field. Davis had three hits and a season-high three RBI’s and Arenado added a had a season-high five RBI’s on two hits. The Squirrels kept their foot on their pedal in the second inning receiving a two-run home run from Luigi Rodriguez and a three-run home run from Jonah Arenado, their 10th and 4th home runs fo the season respectively. Senators starter Sterling Sharp was forced out of the game after two innings allowing ten runs, nine earned. Richmond’s six runs in the second inning ties a single-inning high for the 2018 season. The Squirrels were 9-for-18 with runners in scoring position, the most runners they have had in scoring position in a game all season. Squirrels starter Jake McCasland worked through four innings allowing three earned runs on two solo home runs and an RBI single from Richmond native Alec Keller in the second inning. Austin Davidson smacked his fifth of the season in the second inning and Hunter Jones hit his first home run of the season in the fifth. Ryan Halstead (3-1) kept the Squirrels out front after tossing two innings out of the bullpen allowing just three hits and one unearned run. Squirrels newcomer Sam Wolff made his Double-A debut out of the bullpen in the seventh inning for the Squirrels working a 1-2-3 with two strikeouts using just 14 pitches. Offensively for Harrisburg, Austin Davidson and Hunter Jones served as the sparks. Davidson and Jones played a part in three of the six runs for the Senators. Both Davidson and Jones hit home runs off of McCasland for their fifth and first dingers of the year. Davidson went 2-for-3 with a triple and a home run and Jones added three hits for the Senators. Squirrels reliver Dillon McNamara closed out the victory for the Squirrels tossing a scoreless bottom of the ninth inning allowing just one hit. The Flying Squirrels continue their nine-game road trip – the longest off the year- with game two of five in Harrisburg on Saturday at 6 p.m. RHP Shaun Anderson (5-5, 3.54) makes the start for Richmond against Senators LHP Logan Darnell (3-4, 5.44). The Flying Squirrels will return to The Diamond on Wednesday, July 4 for an Independence Day celebration. Tickets can be purchased online over the phone by calling 804-359-3866 (FUNN).